BED BUG TREATMENTS: HOW BIG ARE BED BUGS ? So, how big are bed bugs actually and can you see bed bugs? If you are worried about bed bugs in your home then the first thing you must learn is how to identify a bed bug. Bed bugs are often mistaken for cockroaches or booklice and they are very often overlooked, as they are usually nocturnal insects and they come out only at night, every 1 or 2 weeks, to feed on blood. 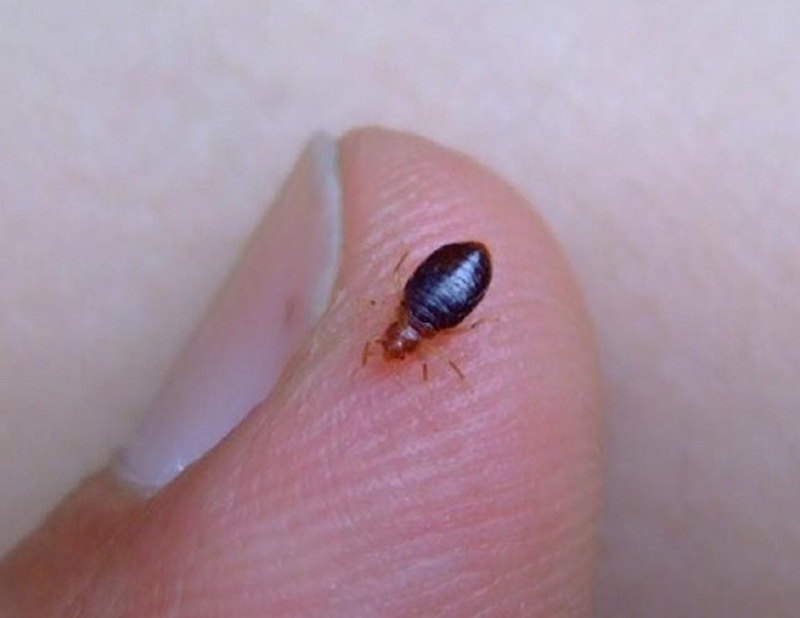 If you have seen an insect in your home, at or near your bed, then have a look at the bedbug picture below, to see if you can recognize the insect. HOW BIG ARE BED BUGS ? – Bed bug treatment. How big are bed bugs then? The Adult bed bugs grow to 4–6 mm in length and a width of 1.5–3 mm wide. They are brown in color. The Newly hatched nymphs are translucent and lighter in colour. They are around 1,5 mm in length and they become browner as they moult and reach maturity. Insects at the larva stage can often be almost red in color. HOW BIG ARE BED BUGS? Bed bugs are certainly very visible..
Click twice on the images to enlarge them.